Within the Drechtsteden, 6 municipalities are effectively working together. Alblasserdam, Dordrecht, Hendrik-Ido-Ambacht, Papendrecht, Sliedrecht and Zwijndrecht are cooperating, but also emphasize on making their own choices. 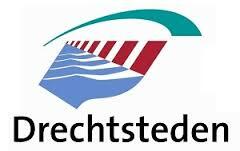 The municipality of Hardinxveld-Giessendam will very soon officially become part of the Drechtsteden, that together are “the cities next to the water”. The region is leading in the maritime sector and has a strategic position within Rotterdam-Antwerpen. More information about the Drechtsteden can be found here.